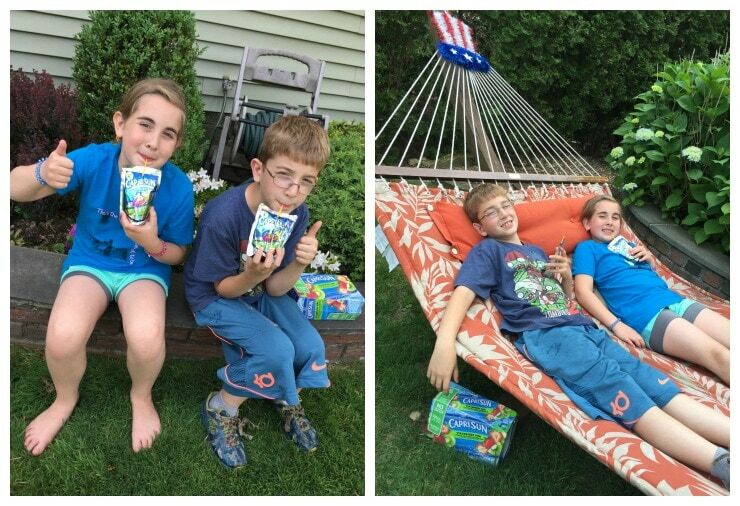 My summer of fun continues as a member of the #CapriSunCrew! Remember, Lady and the Blog LLC was paid to participate in this program, but all opinions are my own. To check out all the fun we’ve had so far, please visit my previous posts on the launch of the amazing new product and how we enjoy our summer fun time! Speaking of summer fun…the summer time is in full swing right about now! One major part of every summer for me is the 4th of July. My family and I absolutely love celebrating the 4th. My husband is super patriotic and NY just knows how to do the holiday the right way. I decorate all over the inside and outside of the house with Old Glory. Fireworks are everywhere, plus who can debate the amazing Macy’s show each year? It’s wonderful, and it really sets the tone for not only the holiday itself, but for the rest of the summer as well. We typically are very lucky and have a lot going on with both family and friends. There’s not a minute to spare and we try to soak it all up. There’s some BBQ action, some fireworks watching, some pool partying, and some good times all around. It’s the best and it’s really something we all truly look forward to. For those precious times where we are home and just hanging as a family, we really try to spend as much time outside, enjoying the time and weather, as much as we possibly can. We will find anything and everything to play, seriously. One really great activity that the kids absolutely love is kite flying. Bill and I love it, too…be it participating or just watching the kids have a blast. It’s just good, clean, old-fashioned, timeless fun, right? You can’t knock it, and it’s fun for all ages. Sure, getting that kite up can be a challenge for the kids at times, but I think part of why they love it and have such a good time. Another great family activity is definitely playing classic lawn/backyard games, like the ring toss. It’s awesome, everyone has fun, and everyone wants to win! What more could you ask for, really? It’s a great way to have some fun, good natured competition while playing something a little out of the ordinary in the great outdoors. You’re hitting all the important points and it should be a must on your summer to-do list!! After all the good times are over, and everyone needs a break, it’s time to kick back and relax, don’t you agree? If it’s time to relax, then it’s pretty much time for the hammock! What says summer perfection more than letting the time fly by on a hammock? Nothing. Bill and I lounged on hammocks overlooking a cliff in Hawaii on our honeymoon, and it’s been love ever since! We had to have one, and I found a good one. The great part is – the kids love it now, too. Sure, they only spend about 1/10th of the time Bill can on that thing, but they do it! Of course, with the summer, and outside fun, comes the need to have a cold, refreshing drink. It’s Capri Sun time! 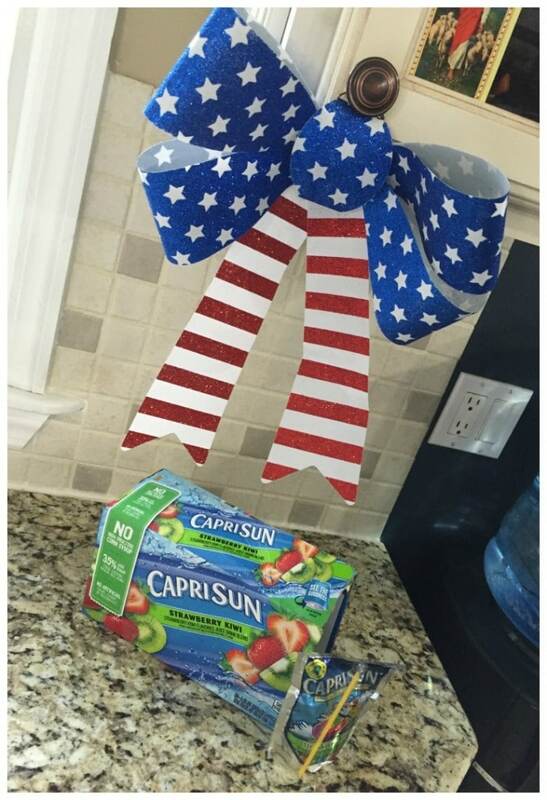 Yes, Capri Sun is the go-to drink for my family on those long, hot summer days…4th of July being no exception. It hits the spot every time. 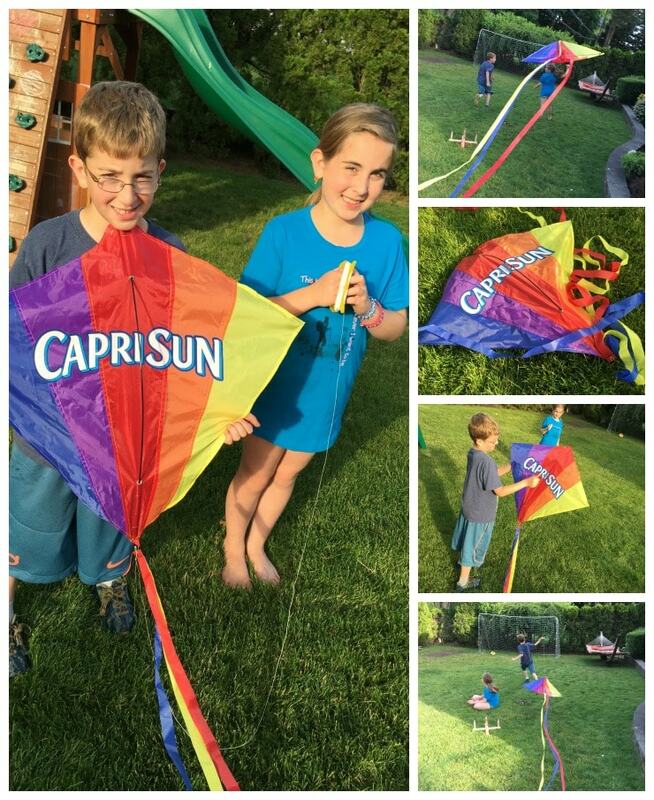 Thankfully, there’s never been a better time to share Capri Sun with your kids. 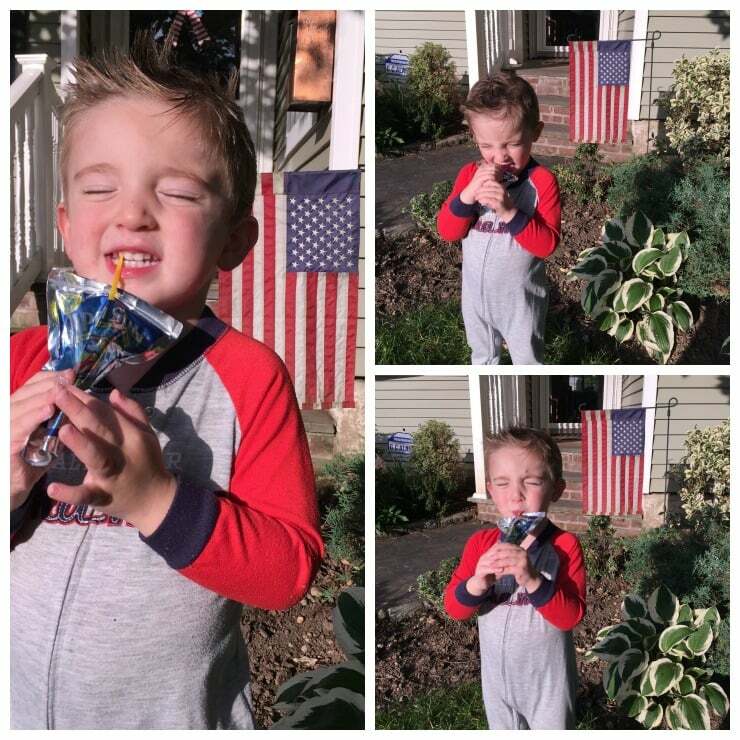 In case you haven’t heard, Capri Sun is really making big changes and listening to its primary customers…us, the parents! Thank goodness for that. Just in 2015 alone, Capri Sun has replaced High Fructose Corn Syrup (HFCS) with sugar in its original line of Capri Sun Juice Drink!!!! They now have 35% less sugar than other leading juice drinks. * Capri Sun has also replaced sucralose with stevia and HFCS with sugar in its Roarin’ Waters Flavored Water Beverages!!! Plus, as always, that famous, now clear bottom, pouch is loved by everyone as it’s the perfect vehicle for all of that juice drink enjoyment!! As you can see, even little Caleb is all about his “ahcko” (not sure where he got that, but we love it and NEVER correct him)!!! He’s just crushing it. Capri Sun juice drinks have been a staple in American households for years, especially in the summer months. These juice drinks offer wholesome varieties made with natural flavors and fruit juice, which can serve as a great alternate to soda. It just seems to really fit into all of my family’s activities, be it 4th of July or just everyday lunch for school. *This product has 13g sugars; leading regular juice drinks 22g sugars per 6 fl oz. Serving. Kraft Foods is providing the prizes for this program at no cost to me. This program is not administered or sponsored by Kraft Foods or its affiliates, but solely by Vera Sweeney of Lady and the Blog LLC and https://ladyandtheblog.com/. All opinions are my own. Previous Post: « #FandangoFamily Makes Family Time That Much Easier!